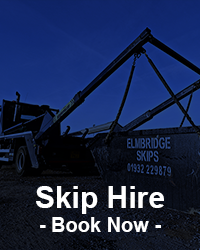 Skips are hired for up to 14 days. If you would need longer please call 01932 229876. You can pay credit or debit card over the phone or BACS payment online. What can’t go in the skips? Asbestos, Batteries, Fridges/Freezers, Tyer’s, Gas Cylinders, Paint, Oils, Florescent Light Tubes, Computer Screens, Food Waste. How high can we load the skip? Skips must be loaded level with the sides. The use of boards to build the sides are prohibited. It is an illegal offense for a driver to take an overloaded skip. Where are skip taken to be emptied? 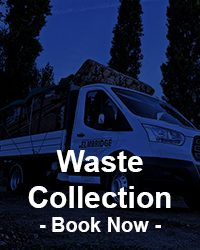 All skip waste is taken to one of the countries leading recycle centers, where the waste is processed for recycling. All recycle centers we use are fully licensed. Can you put skips on the road? How much notice is needed to organize my delivery? We recommend ordering the day before for the next day. However we will always try to accommodate any urgent requirements. How much room does the lorry need too access my drive? The lorries need just under 9ft to fit between gates, alley ways etc.